The Arctic holds vast possibilities for increased economic development, though such ventures are not without challenges. What can Alaska and Northern Norway learn from each other to ensure sustainability and sharing of best practice across the oceans? 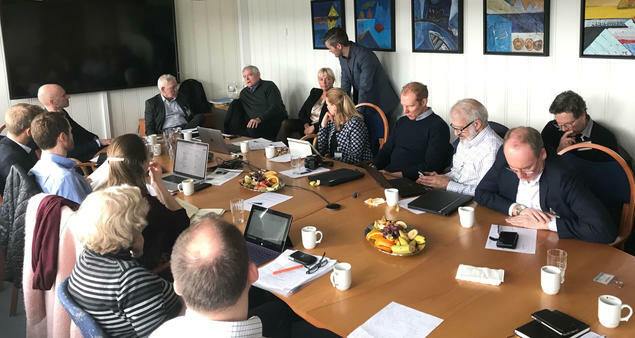 These questions were at the core of the agenda when scholars, business representatives and government officials convened 2 April 2019 in Bodø, Norway, for a partner meeting on the AlaskaNor project. 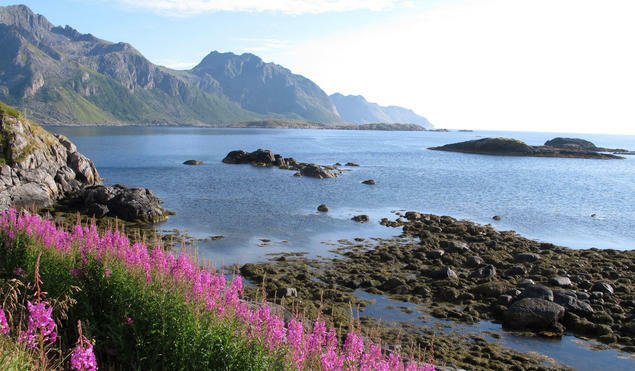 The project goal is to improve knowledge on the blue economy in Alaska and Northern Norway and to facilitate learning across the regions and among relevant stakeholders and decisions-makers. FNI researchers Andreas Østhagen, Svein Vigeland Rottem, Andreas Raspotnik and Karoline H. Flåm are among the contributing partners and were present at the meeting. Certainly, the ‘blue economy’ has become something of a catch-phrase in recent years, though it can be elusive, ill-defined or even a cover-up for what are often diverse or conflicting interests related to the use of marine resources. In simple terms, however, the phrase encompasses all economic activities that can create sustainable wealth based on the world’s oceans and coasts. 'If you look at the map, it’s perhaps not obvious that Alaska and Northern Norway, with far distance between them, should team up in a joint venture like this. But the fact is, Alaska and Northern Norway share similar characteristics, particularly regarding their dependence on maritime industries and the potential for maritime economic development,' said project leader Andreas Raspotnik. Fisheries are but one telling example. Alaskan fishermen provide nearly two-thirds of the US annual seafood harvest. If Alaska’s ocean industry were proportional to the size of its available ocean, it would be worth nearly $100 billion — more than twice the state’s current overall economic value. Transitioning from simple resource extraction and exportation to more diversification and development thus holds tremendous potential for the state struggling with dire financial problems since the fall in oil revenues. Oceans are like the atmosphere. 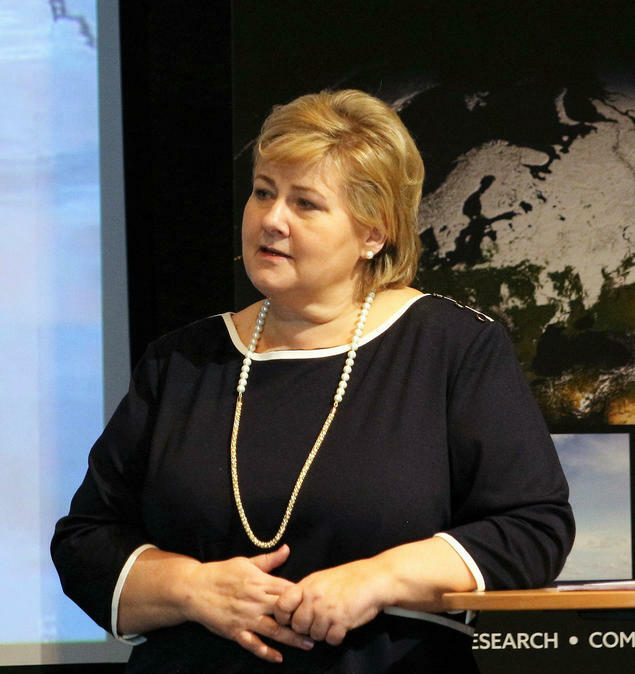 They are a global, common good,” Solberg stated, adding that bilateral cooperation and research on the Arctic region never has been more in demand. The AlaskaNor project, bringing together 17 different partners from both the United States and Norway, supported by a reference group, is tasked with mapping the state of affairs within three economic areas, all key to the two regions: offshore energy (including renewables), shipping and fisheries. Analysing the different governance mechanisms and governance levels applying to these sectors is also a key part of the project, and will be the main focus for FNI in the project. The goal is to identify challenges and opportunities within each sector, synthesize findings and to discover areas for potential collaboration across the regions. In its final phase, the project partners will target key decision-makers in both Washington, D.C. and Oslo with policy recommendations. Most of the economic sectors analysed in this project, are sectors in which Norway and Alaska are in the lead, and where there is still big and untapped potential to be explored,' said Mead Treadwell, former Lieutenant Governor of Alaska, who participated at the meeting. Malte Humpert, Senior Fellow and Founder of The Arctic Institute, highlighted the rapid changes now happening in Alaskan waters and its implications for increased shipping and transportation in the region. These changes are happening a lot faster than anyone had projected just years ago. So how long before Alaska starts looking more like northern Norway? Where will we be in the next ten to twenty years? I don’t want to be speculative, but the fact is we are seeing a lot of ‘black swan events’ at the moment,' he added. The partners were presented with a project timeline outlining key milestones and events that will take place under the AlaskaNor heading. Among them is a conference to be organised and hosted by the Fridtjof Nansen Institute in Oslo in 2020. The project is coordinated by the High North Center for Business and Governance at Nord University in Bodø. It is funded by the Norwegian Ministry of Foreign Affairs and Nordland County. For more information, see www.alaskanor.com.